Unfortunately and tragically, the story of Human Abductions has been one, which has apparently actually been going on for thousands of years. Ever since the Fallen Angels interfered with life on earth, and forced themselves on the women on the earth, and fathered Giants. The world became so corrupted, that God ended up destroying it all, in the Deluge. Why are people still being abducted, and used and abused by so-called Aliens? MAT.24:21 "For then shall be great tribulation, such as was not since the beginning of the world to this time, no, nor ever shall be. MAT.24:22 And except those days should be shortened, there should no flesh be saved: but for the elect's sake those days shall be shortened." MAT.24:37 But as the days of Noah were, so shall also the coming of the Son of man be. Those were very dramatic statements by Jesus Himself. What was it like in the Days of Noah, just prior to the FLOOD? GEN.6:4 "There were giants in the earth in those days; and also after that, when the sons of God came in unto the daughters of men, and they bare children to them, the same became mighty men which were of old, men of renown." Update by author (28/04/17): For those of you who have done research about UNDERGROUND CITIES from the far past, ask yourselves this question: Why were normal human-beings digging cities underground? What was roaming around on the surface, to make them really scared, and was actually very dangerous? Those people back there were certainly very scared of something, and enough to burrow their civilization underground. Are those same dangerous predators of mankind soon to return? WERE THERE ACTUALLY "FIRE-BREATHING" DRAGONS, DINOSAURS & MONSTROUS GIANTS IN THE FAR PAST LIVING AT THE SAME TIME AS MANKIND AND DEVOURING THEM? GEN.6:5 "And God saw that the wickedness of man was great in the earth, and that every imagination of the thoughts of his heart was only evil continually." This chapter will shed some more light on this very subject. It is just amazing how that WE the people on earth, are being systematically lied to again and again, by so-called science and history, putting most people to sleep to the real dangers that are lurking in the shadows of this world. For science to falsely state, (without any concrete evidence), that the earth is solid, as has been the stance of modern science, since around 1950, it all makes the horrors from below seemingly less dangerous, and even completely non-existent & imaginary! But are the horrors mentioned above actually imaginary, or are they in fact very REAL? The following is one of those scary happenings that are getting worse as we speak:- So-called Alien Abductions. Other inhabitants of an inner earth: Grey’s, Demons and Human spirits of the Damned. The serpent mentioned in Genesis 3, as enticing the woman to eat of the tree of "Good and Evil", in the garden of Eden, may mean much more than a snake, and has a lot more to do with describing the “Grey’s”. GEN.3:1 "Now the serpent was more subtil than any beast of the field which the LORD God had made. And he said unto the woman, Yea, hath God said, Ye shall not eat of every tree of the garden?" The word for Scorpion has an unknown origin and that one is left wide open for discussion. In context we are talking about rebels, figuratively humans acting like these animals or simple terms for angelic creatures. Two of the most common human-like entities reported seen by abductees are the reptilian Gray’s and the larger insect like leaders. More than just a coincidence, there is a literal connection between these two distinct types of “fallen angels” and the mention of serpents and scorpions. There is another group, the “Angels that sinned” and their offspring, the mighty men of renown being part mortal and part immortal, they were placed into a ghostlike state with the ability to rise out of the pit in a “chain” of going up and then cast back down. (2 Peter 2:4, Jude 6) These are the invisible spirits, that pretend to be ghosts, that speak to psychics and move a Ouija board to spell out messages. (Thessalonians 4:1, 2 Thessalonians 2:9, 2 Corinthians 11:14) They are all lying spirits of the New Age who create their own brand of salvation telling man he is his own god.. God is allowing this resurrection to their destruction. There will be an invasion of these entities upon the surface. Right now they are getting ready. Part of this preparation is in the abduction of our own people for some more genetic tampering. From the description given in the text in Luke 16, Jesus spoke of the two-chambered earth; the rich man died in unbelief of God and went into the earth in Hades. By this and many other scriptures mentioning the same thing, we know the departed human souls who died in unbelief of the gospel went into an area of Hell, literally in the earth as well. Modern Abductions are Subterranean not Extraterrestrial! Passive forms of “letting go” gives possible control of your mind to other entities...this process is forbidden in the Bible for our own safety. Hypnosis places you in a mental place of no control! In the Proceedings of the Abduction Study Conference held at MIT in 1992, the top Scientists, Doctors and Researchers in the field, scrutinized 300 abduction cases. Included was Nobel Peace prize-winner Dr. John E. Mack. These cases were selected, because they had the most cognitive memories, witnesses and documentation. Out of the 300 cases 31 included the observation of a destination. The most familiar destination is into a mother ship. 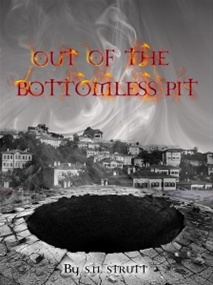 Ten cases involve the actual transition but all of them go into a subterranean world. In some cases the ship dives under the sea, enters a cavern or a dark tunnel hewn out of rock. In all the cases they eventually see the otherworldly landscape. A futuristic city may thrive in the midst. The second landscape is one of a bright but uniformly lit or diffused light, no sun, no horizon visible, with a lush, moist, heavily vegetated landscape also holding a futuristic city, but obviously subterranean. Both scenes are explained by the captors, that their planet suffered some kind of disaster and have a problem with reproduction. This is why they take eggs and sperm from us. These same beings warn us that the same catastrophes are ahead for earth. Some experience a religious or mystical ceremony underscoring the preciousness of life. Transportation time between earth and the other world is negligible. In spite of this evidence, these researchers insist on believing that these journeys are extraterrestrial. Evidence is overwhelmingly in favour of the fact that if true, they are never seen leaving or entering another world from space, they are always in a dark or subterranean other-world, yet the travel time is a matter of a couple of hours. It never crosses the minds of these educated people that maybe the craft aren’t leaving the earth at all, but rather going down into the earth. Of course this is not even considered, because science proclaims that the earth isn’t hollow! So they go to another world that is hollow. If these stories hold any truth, as I believe they do, they are going to Hell in Sheol or Nod, not another planet! I believe the integrity of this conference was very well done. Their own results support an inner earth destination and origin and not the E.T. agenda most want to believe. In their objectivity they have also included the fact that abductions have been stopped in progress when the person has used the name of JESUS! Also the use of singing Christian hymns or reciting scripture has been effective in stopping abduction. As real as I believe abductions are, this is a clear indication that this is a spiritual problem as well as a physical one. This factual experience would also concur with what the Bible says, in Phil 2:9-11. The logic and understanding of subterranean life and spirit beings existing in a hollow earth makes sense as you add up the myths and legends in contrast to what the Bible actually has to say. You cannot discount the many accounts from abductees or the suspicious actions of governments, which hint of conspiracy. Also, a special warning to the many believers in a Hollow Earth and others who have a wide variety of beliefs that include a hopeful expectation of “friendly” inner beings ready to “enlighten” us surface dwellers. Nowhere in the scriptures will you find any suggestion or hint that anything in the Earth at this present time since the resurrection of Christ is good! There are only rebels of the one true God who live there or escaped there. They have no good intention toward mankind; they have their own agenda. Part of this agenda is a prophesied invasion of the surface. It is important to recognise the danger of the Bermuda Triangles, as there are not just one or two, but according to experts actually 12 main ones, including the two openings at the north and south poles. It would appear that the Bermuda Triangles sometimes cause people to disappear, and sometimes they don’t, depending on who you are! This was obviously the case with Admiral Byrd, who was allowed to enter into the inner earth, for a specific reason. In the case of the two sailors, their story did not end up well for themselves, as one was drowned on the way back through the southern pole opening, and the other was placed in a mental institution for 28 years for telling his story back in 1830. In the case of Admiral Byrd, he was ordered to keep quiet about what he knew, or else! It is claimed by some that he was finally murdered! His son who had accompanied him on some of his journeys also died in mysterious circumstances. So I would certainly not advise anyone to go near the northern or southern openings as it could be potentially very dangerous both physically and spiritually. Apparently there are twelve “Bermuda Triangle” type gates around the world. Five in the Northern Hemisphere placed equidistant around the world horizontally, and mostly at around 30 degrees latitude, and incidentally just off the coast of some landmass. In the case of this article, some say it could be “caused by the magnetic field of the earth being altered”, as was clearly shown in the 2003 movie “The day after Tomorrow”. I believe in the much more serious cases of humans being abducted, that it very likely that there are “alien entities” who are collecting DNA from humans, animals and birds, and perhaps even fish. The big question is why, and whatever for? Are they trying to recreate the ancient Nephalim giants and demigods of so-called ancient mythology, such as the Greek and Roman mythology with their pantheon of gods and demigods, with sometimes bodies which were half man and half animal? Maybe they were more real than we give them credit for? Strangely it would appear this has all been done before, in very ancient pre-Flood times, or the times of the Nephalim and the days when giants ruled the earth. There are many reliable records from most civilizations of such happenings. Chapter 2 "OUT OF THE BOTTOMLESS PIT"
A very quick summary of the Bermuda Triangle would be to say in a sentence, that there is a triangular area between the Florida coast at Miami, extending to the Bermudas and Cuba where many ships, planes & people have disappeared! This information has been verified by shipping authorities, and the Air-forces of many countries. I have personally spoken with those, such as Shipping Authorities, who have confirmed these disappearances, or more accurately stated, gone without a trace. Why were many of the passengers’ mobile phones still ringing, when they were subsequently contacted by relatives? Many appeared to still be connected with the internet 4 days after the plane vanished?